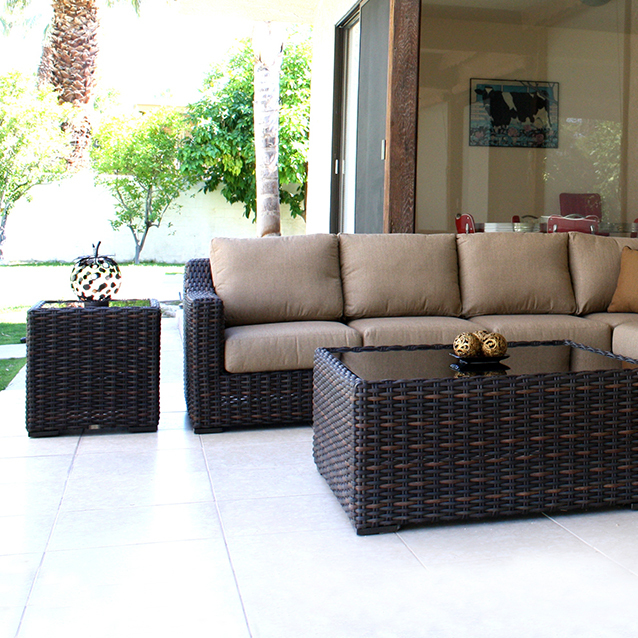 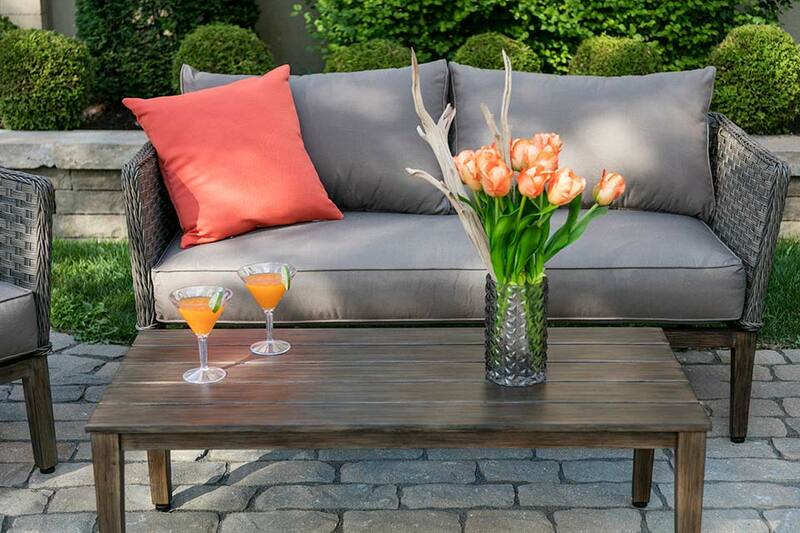 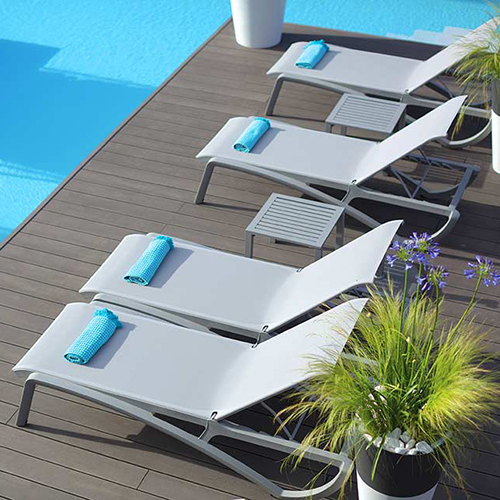 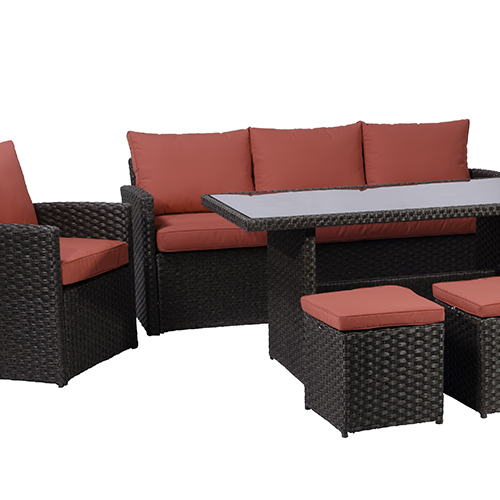 The Alexia Collection is a one of a kind patio set that will elevate the look and feel of your backyard oasis. 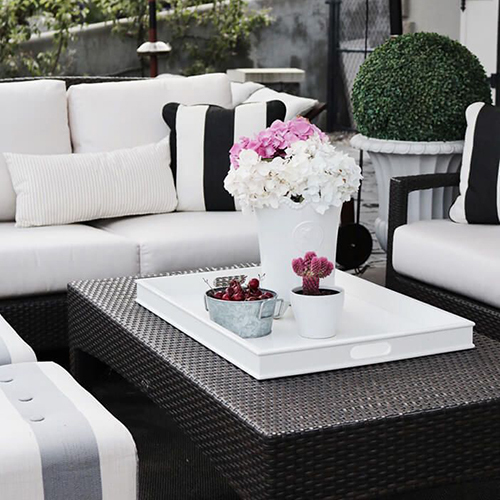 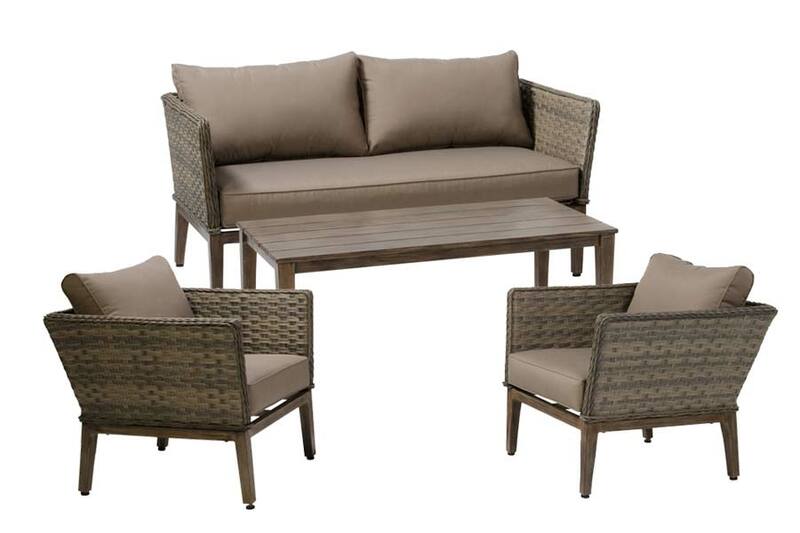 The warm, two-toned resin wicker and the cappuccino Durasonn cushions are trendy, long lasting and compliment each other entirely. 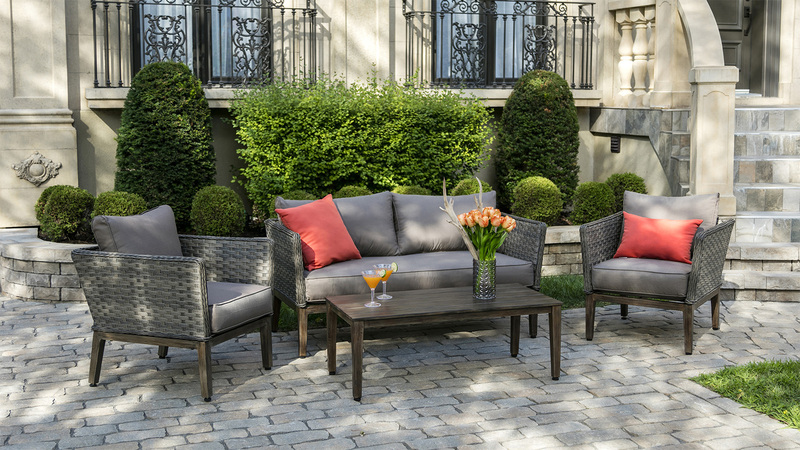 The Alexia Collection is complete with four pieces, including a spacious loveseat, two club chairs and a hand finished slatted textured coffee table. 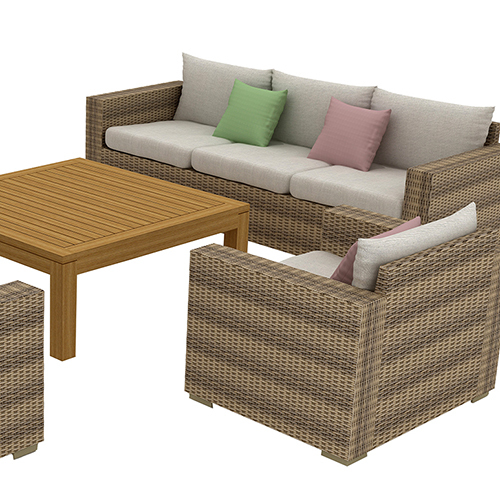 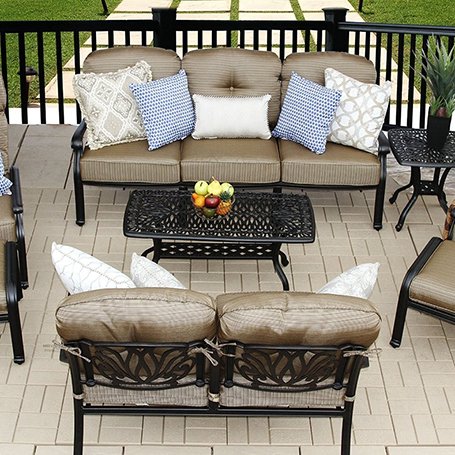 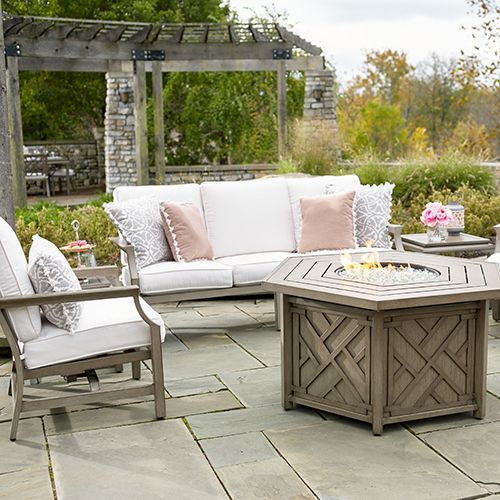 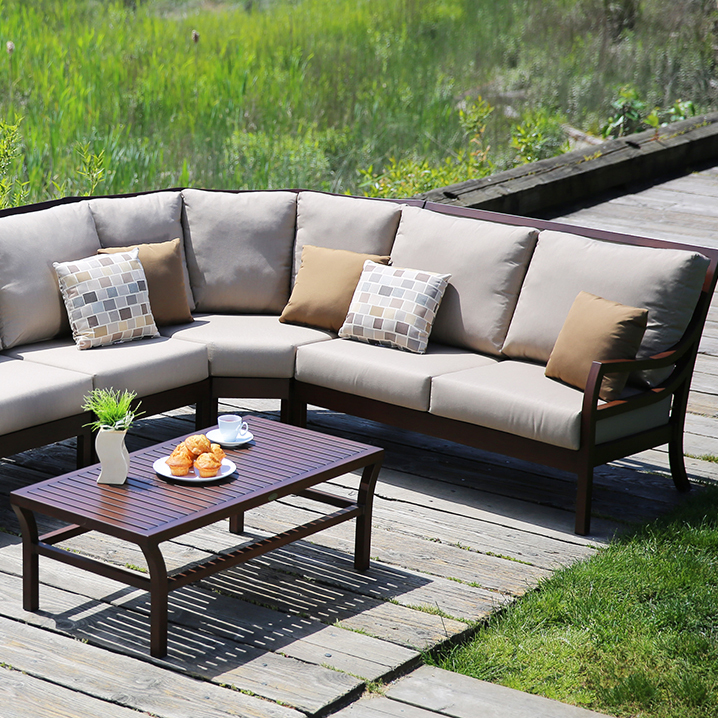 The Alexia Collection is great for both small and large backyards with it’s easy-to-modify layout. 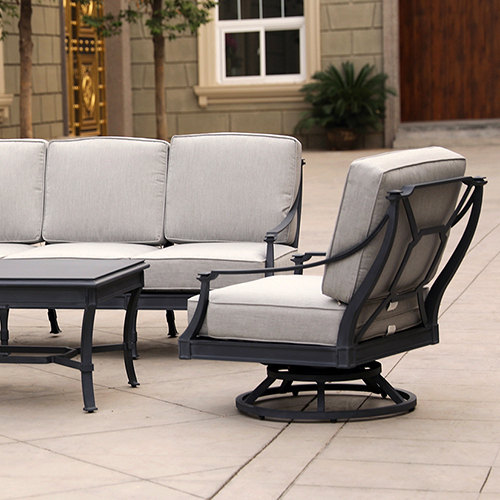 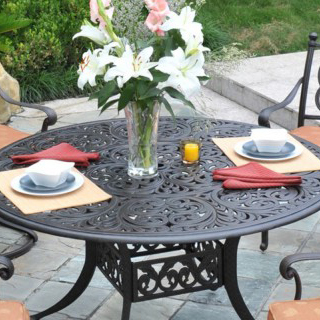 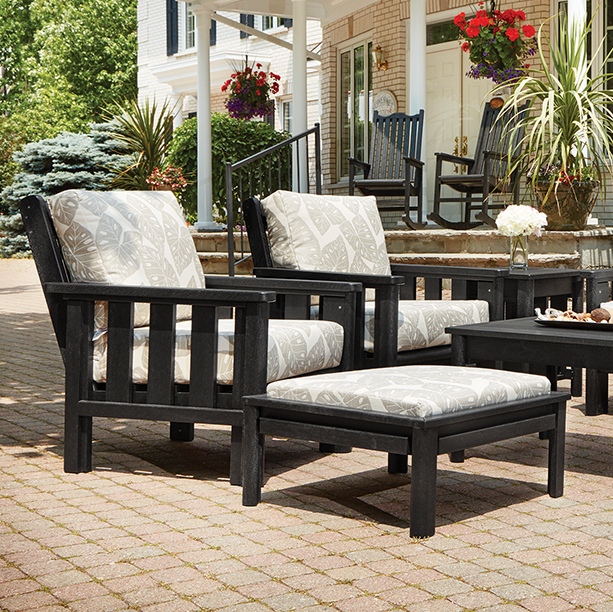 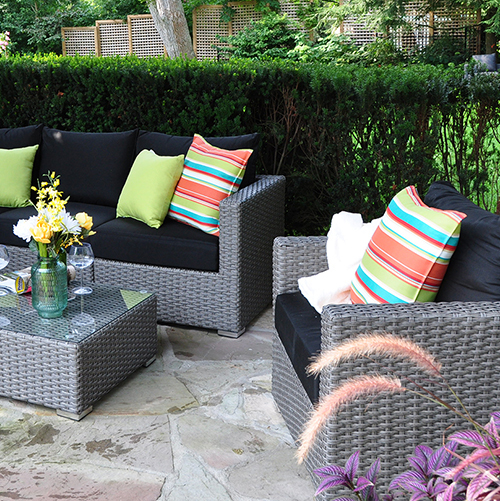 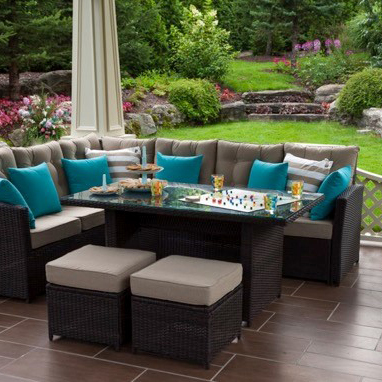 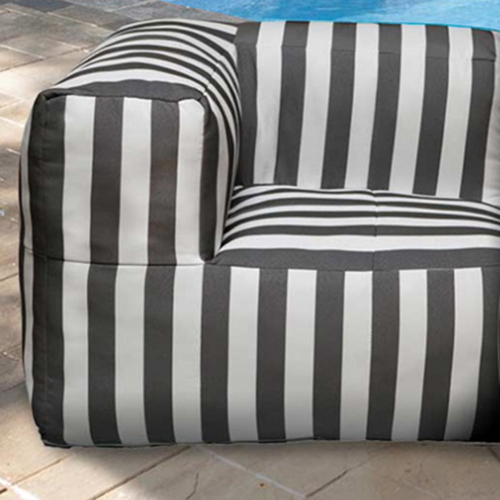 You will enjoy inviting friends and family over to embrace the warm summer weather with this versatile patio set.